Many people are afraid to add modern elements to their home with the fear of going “too modern”. Well, fear not! What if we told you can add modern touches to your home all while keeping your home warm and inviting? Actually, we have many clients who are playing the field between modern and traditional, a style we call transitional. So, if you find your style somewhere in between, then this blog is for you! Take a look at some of the popular ways to incorporate those modern touches to your space! In the world of design, there are so many different types of materials out there. So, to be sure you are incorporating modern materials, we like to be sure the material is easy to take care of and balances well with the overall design. 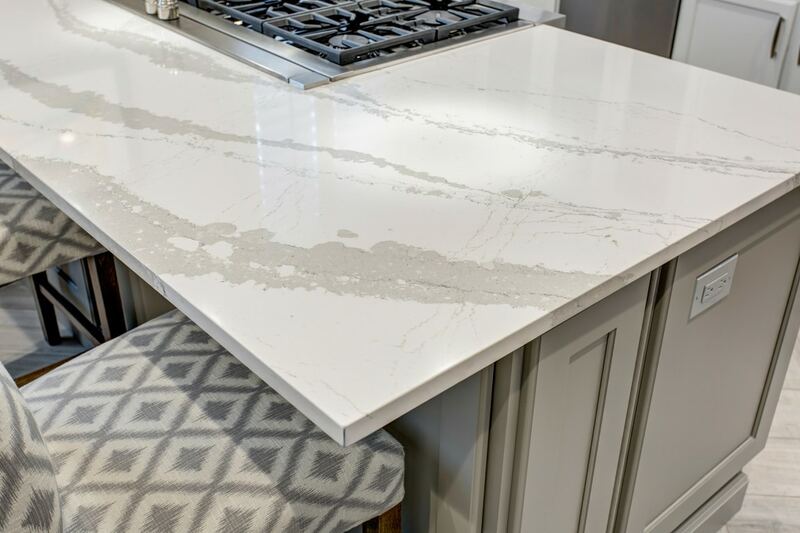 So with countertops, think quartz instead of marble, and with backsplash think geometric shape instead of arabesque, for example. 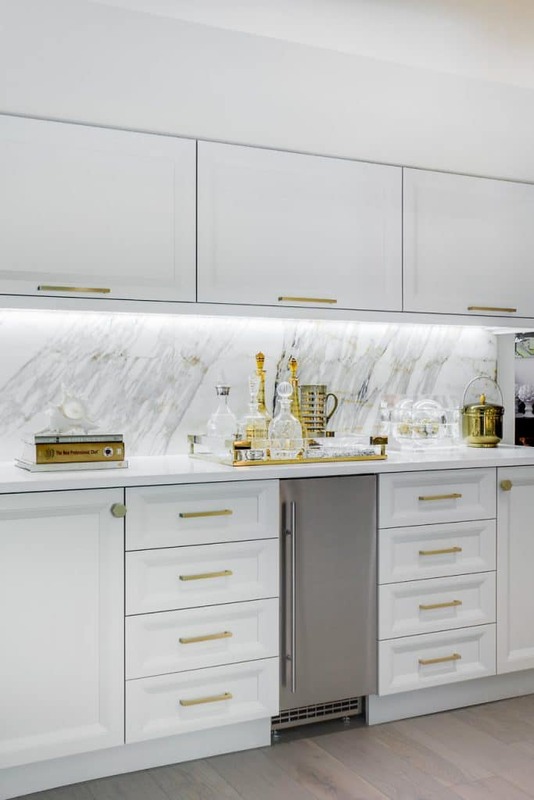 A very simple modern element to add to your space is your cabinet hardware! Modern hardware tends to be sleek, simple and streamlined along with many options for finishes. Applying hardware to your own cabinetry is something very simple and easy to do! 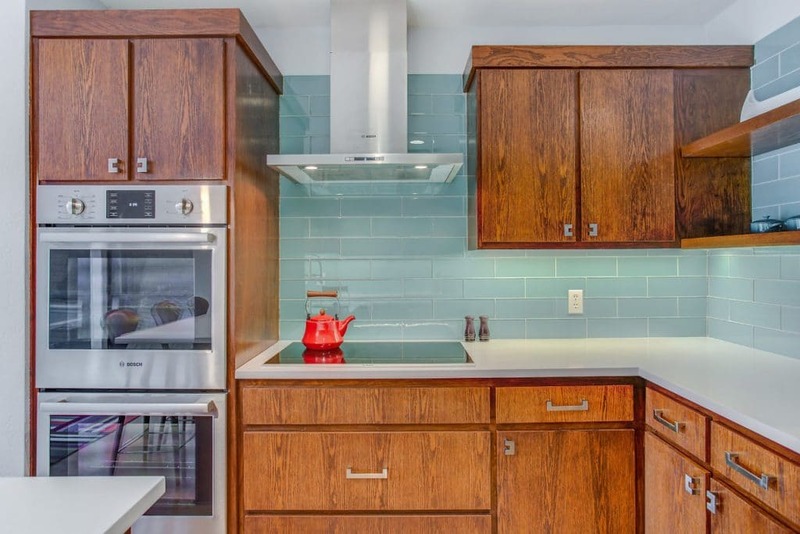 You’re a weekend project away from adding a modern touch to your kitchen! 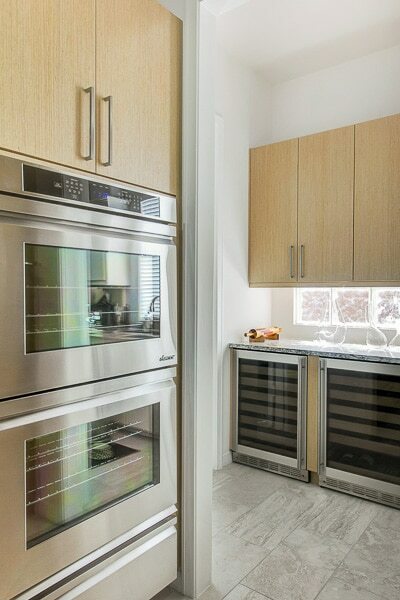 Appliances play a big role in your kitchen, really, they are a vital component of the space. With appliances though, many are already considered lend more modern in style – so you’re in luck! So to incorporate modern appliances, think outside the box and incorporate appliances other than the fridge and stove, such as a beverage unit. You’ll be well on your way to a more modern space! If you really want to make a modern statement, think about the cabinetry door-style. There’s no denying that a slab door is the most modern of them all. It’s simple, sleek, and easy to take care of. It doesn’t stop there with door-style, also consider the finish such as an ultramodern high-gloss. The fixtures of your space are very important elements that drive the functionality of your space. With fixtures, there are many different styles and many different finishes. 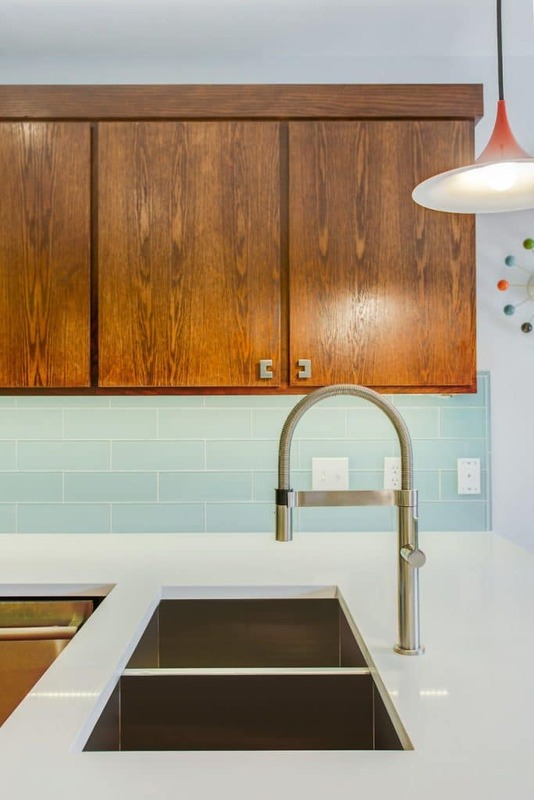 To help you narrow down the options, look for fixtures with a simple shape and sleek finish. Enjoy this blog? Check out our previous article!